Tamil Hindus of Sri Lanka and South India refer to the place as Katirkamam and it has a famous Hindu shrine dedicated to Lord Katirkaman. The presiding Deity is Lord Murugan or Skanda. Saivite Hindus of South India call him also as Subrahmanya. Following are the other names to identify the same God in the Hindu texts: Kandasamy, Katiradeva, Katiravel, Karttikeya, and Tarakajit. Some of these names are derived from the root katir from Katirkamam. `Katir` means formless light. The deity is depicted either with six faces and twelve hands, or one face and four hands. Out of love for Lord Murugan and to mitigate bad karma, bhaktars pierce their cheeks and tongues with vels, pull large chariots carrying murthi of Murugan with large hooks that have been pierced through the skin of their backs. This practice is known as kavadi. Murugan`s vahana or vehicle is the mayil or peacock. There is also a related shrine called as Sella Katirkamam dedicated to the beloved elephant-faced god Ganesha nearby, who is known as Lord Murugan`s elder brother. The local river namely Manik Ganga or Manika Gangai (River of Gems) functions as a place of ablution where a sacred bath is taken to purify oneself. Local residents declare that one can be healed of ailments by bathing in it not only from its high gem content but also the medicinal properties of the roots of various trees that line the river through the jungle. Kataragama is one of the 16 principal places of Buddhist pilgrimage to be visited in Sri Lanka. According to the chronicle of Sri Lankan history the Mahawamsa, when the Bo-sapling or pipal tree sapling under which Gotama Buddha attained enlightenment in North India was brought to the city of Anuradhapura 2,300 years ago, the warriors or Kshatriyas from Kataragama were present on the occasion to pay homage and respect. The Buddhist Kiri Vehera dagoba which stands in close proximity to the Hindu temple was built by the King Mahasena. According to the legend, Lord Buddha, on his third and the last visit to Sri Lanka, was believed to have met the King Mahasena who ruled over the Kataragama area in 580 BC. Thus the local Sinhalese Buddhists believe that Kataragama was sanctified by Lord Buddha. The King met the Lord Buddha and listened to the Buddha`s discourse and as a token of gratitude, the dagoba was built on that exact spot where it now stands. The deity at Kataragama is indigenous and long-celebrated in Sri Lankan lore and legend, and originally resides on the top of mountain called Waedahiti Kanda (or the 'Hill Where He Was') just outside of the Kataragama town. Since ancient times an inseparable connection between the god and his domain has existed. At one time the local deity was identified with God Saman, a deity who was important to the Sinhalese people before their conversion to Buddhism.  As was the Sinhalese tradition, local ancestors, rulers and kings were ordained as deities. God Saman also became a god in that way. 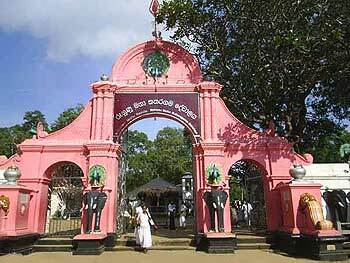 Therefore it is also believed that King Mahasena came to be worshiped as God Kataragama. 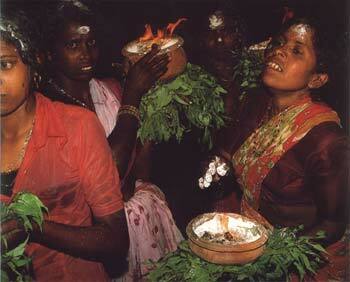 Even today the indigenous Vedda people come to venerate at the temple complex from their forest abodes. 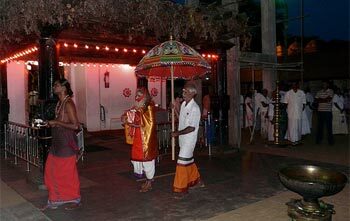 As a link to the Vedda past the temple holds its annual festival, that celebrates the God`s courtship and marriage to a Vedda princess, in July to August. Secretive shrines outside the main temple complex are also used in sorcery and cursing by local Sinhalese. Kataragama is a multi-religious sacred city as it contains an Islamic mosque within its temple complex as well, and that mosque boasts traditions of great antiquity. In spite of the differences of caste and creed, many Sri Lankans show great reverence to God Kataragama. They honor him as a very powerful deity and beg divine help to overcome their personal problems or for success in business enterprises etc., with the fervent hope that their requests would be granted. They believe that God Kataragama actually exists and is vested with extraordinary power to assist those who ever appeal to him with faith and devotion in times of their distress or calamity. 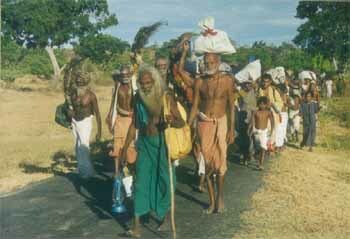 Many Tamils from other areas of Sri Lanka visit Kataragama.